Alloro is the Latin and Italian word for laurel, the evergreen plant said to symbolize immortality in ancient times and a symbol of peace and victory today. 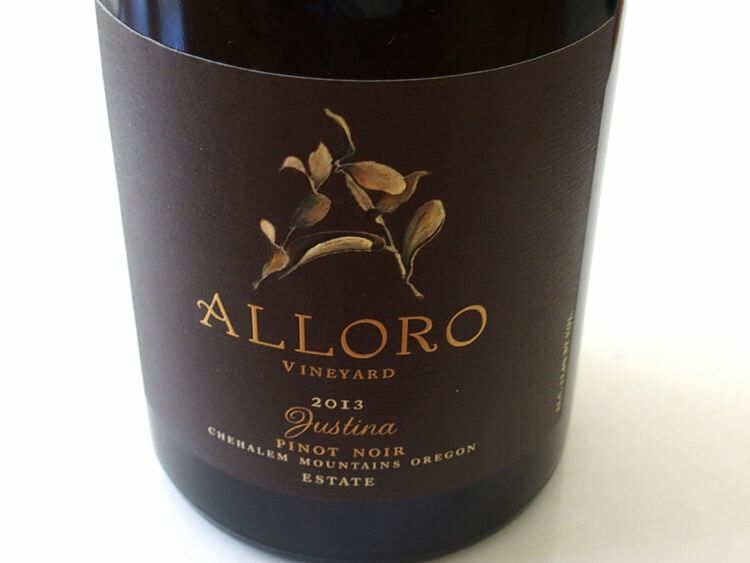 Laurel is a theme of sorts because Alloro Vineyard and Winery is situated on Laurel Ridge, in the Chehalem Mountains just north of Newberg in Sherwood, and the vineyard is planted in the Laurelwood soil series. David Nemarnik, the CEO of Pacific Coast Fruit Company, is the founder and vineyard manager. Established in 1999, the 78-acre property (28 acres of vines) is planted to Pommard and Dijon clones of Pinot Noir and Dijon clones 76 and 96 of Chardonnay. A winery specifically designed for vinifying Pinot Noir was completed for the 2003 harvest. Located in the western reaches of the Chehalem Mountains, the summer days linger leading the wines to have a more generous fruit profile than a number of other Willamette Valley producers. The wines are richly colored and textured as well with a characteristic floral rose note. The winemaker is University of California at Davis educated Tom Fitzpatrick. 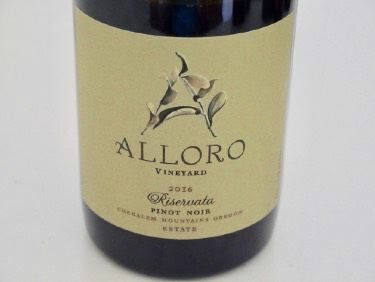 The 2,500 case production is 100% estate from the Alloro Vineyard including an Estate, Justina and Riservata Pinot Noir. Wines are available for sale on the website and the Tasting Room that is open Thursday-Monday afternoons. The winery is also open Thanksgiving and Memorial Day weekends. 22075 SW Lebeau Road, Sherwood, OR. 503-813-0063.